If a sweet filled pancake isn't your cup of tea then try this gorgeous vegan gramflour pancake topped with veggies of your choice! It’s great for a midweek meal and weekend breakfast too. 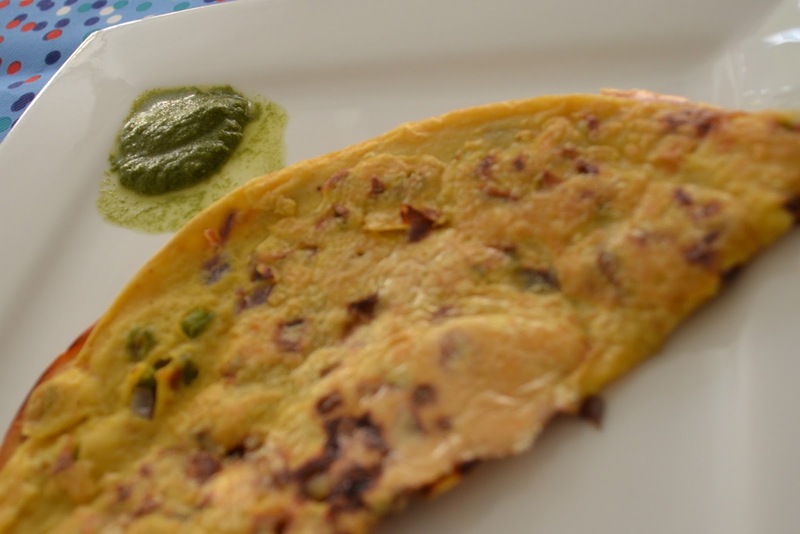 This pancake (besan ka cheela) is a savoury Indian classic. Go make your taste buds happy. Mix the gram flour, chilli powder, turmeric powder, and salt in a bowl. Slowly add about ½ cup water and whisk well till you get a smooth batter. There should be no lumps. Keep aside for 10 minutes. Heat a flat pan and spray or drizzle oil olive on it. Now spread the batter on the pan. The trick is to pour the batter and tilt the pan around till you get an even layer. Sprinkle your toppings on top and let it cook on medium heat. You can cover the pan in between to ensure the gram flour gets cooked well. This takes a bit of patience as it does take about 7-8 minutes to cook properly on each side. Drizzle a little bit of oil around the edges of the pancake and use a thin flat spatula to lift the pancake from the side and check if it is golden brown. If it is, you can flip it around and let it get browned on the other side. This should take another 6-7 minutes. Flip the pancake over, only when one side is cooked, looks golden brown. When done, fold in half and serve hot with coriander and mint chutney. This recipe makes just one pancake, so double your ingredients based on how many people you are serving. You could try different toppings and create your own version of this recipe. 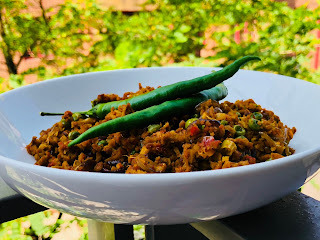 Do share pictures of your creations with me.